We recently received a nice plug from a reader telling others to subscribe, and we’d like to encourage any newcomers to Repairer Driven News to stay on top of all our news as well. Here’s how to do it — and feel free to do all of these! 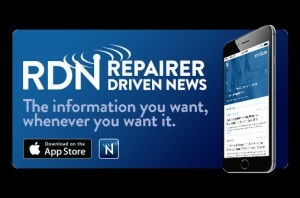 Get the Repairer Driven News app now for iPhones and iPads in the App Store and get all the collision repair coverage you need on a convenient mobile platform as well as real-time notifications for stories. If you like it, please give us a positive review. Like us on Facebook. (Also a good place to comment on the news of the day).